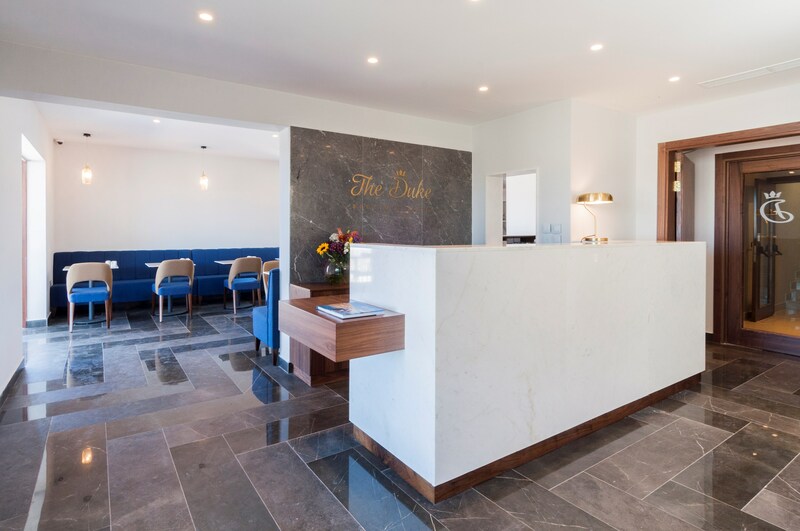 Located on the 4th and 5th floor of The Duke Complex, the Duke Boutique Hotel is situated right in the heart of Victoria enjoying excellent views all around. Guests can opt to choose from 5 distinctly designed room types and suites which command magnificent views of the Citadel, Villa Rundle Gardens or are equipped with their own private Jacuzzi ® Hot Tub and terrace. All bedrooms and suites are designed with ultimate luxury and comfort in mind, both for leisure as well as for business. The Duke Boutique Hotel is also the perfect spot from which to discover the stunning island of Gozo as it is within 200m from the main bus terminal. A shopping complex, supermarket, car park, bar and restaurant are on site while shops, banks, public car park, cinema and hop on hop off stops are within metres. Hospitality in Gozo was very primitive up to the eighteenth century. There were no hotels in Gozo and visitors had to book their stay in one of the three large Friars’ Convents. However, the British take-over of Malta increased the demand for hospitality and by the early 1830s the first Inn in Gozo was set up in the Citadel. This fortified city was the main centre of activity of the island since Neolithic times. During this same period, other Inns started operating at the suburb of the Citadel. However, in the mid-1880s, a Maltese entrepreneur converted an imposing residential building at the foot of Racecourse Street, now known as Republic Str, into a superior hotel. 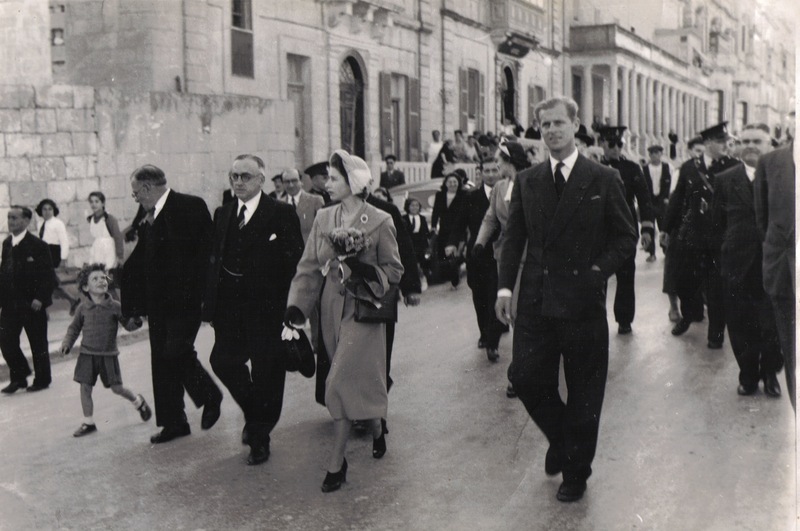 The hotel was eventually taken over by a pro-British Gozitan businessman who re-named the Hotel as the “Duke of Edinburgh Hotel”. In 1892, The Duke of Edinburgh Hotel was advertised in the Guida Generale di Malta e Gozo as “having large apartments for families and comfortable rooms for single gentlemen”. This hotel was patronized mainly by affluent Maltese and by families of the British forces in Gozo. 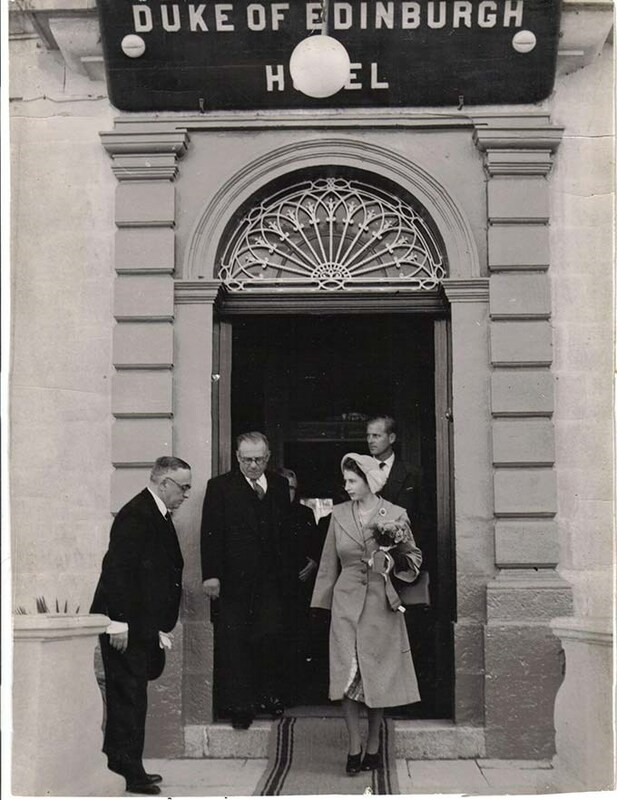 One of its major events was the Royal visit in 1951 to The Duke of Edinburgh Hotel by Her Majesty Queen Elizabeth II. In time, Roger Portelli took over from his father and later on sold on the property. Eventually, ownership of the Hotel was taken over by Island Developments Ltd and work for the demolition of The Duke of Edinburgh Hotel started on 21 July 2005. By the end of November 2008, an imposing, impressive and functional building under the name of “The Duke”, consisting of residential units, commercial and parking spaces opened its doors to the public. The second phase of the project was kick started when a partnership was formed with hoteliers Jason Galea and his wife Sharon. Together they bring a wealth of experience where their love for hospitality is only outweighed by the passion for the guest experience. The project was finally completed in early 2017, when “The Duke Boutique Hotel”, elaborately designed with unmatched luxury and majestic views opened its doors to welcome patrons to one of the most conspicuous locations of Victoria, the capital city of Gozo, Malta.